Lewis Hamilton should snare the win but can Max Verstappen secure a podium place? "Verstappen has decent form at Silverstone - he was second in 2016 and fourth last year - and looks well worth backing for a podium finish this time." Over the years I've got more and more fascinated by the psychology of sport, and have read any number of books about it. One day, maybe, I might even sign up for an Open University degree. But for all the stuff I've studied I had never before heard the phrase of a "thinking loop" until Mercedes boss Toto Wolff blamed it for what went wrong for Lewis Hamilton in the Austrian Grand Prix. I found a website that defines it as where "every solution you think of brings you back to the starting point of the problem." Chief strategist James Vowles was the man who carried the can for the team's failure to change Hamilton's tyres under the virtual safety car, but Wolff's explanation was that the crew were so busy working out the permutations that they never actually made a decision. Whatever, they can't afford to be stuck in a "thinking loop" or any other sort of loop this weekend if Hamilton is to change his current one point deficit to Sebastian Vettel in the Drivers Championship to a more healthy lead. Silverstone is Hamilton's track. He's won there four years on the spin. Last year he did the Grand Slam of pole position, leading every lap, setting the fastest lap, and winning the race (with a 14 second lead over team mate Valtteri Bottas). Not surprising, then, that the reigning champion is [1.84] to be Race Winner again and so overtake Jim Clark and Alain Prost to hold a record six British Grand Prix triumphs in all. The good news for him is that the fuel pump problem which ultimately forced him to retire after 61 laps in Austria doesn't appear to have created any other engine damage so there is no risk of a grid penalty. 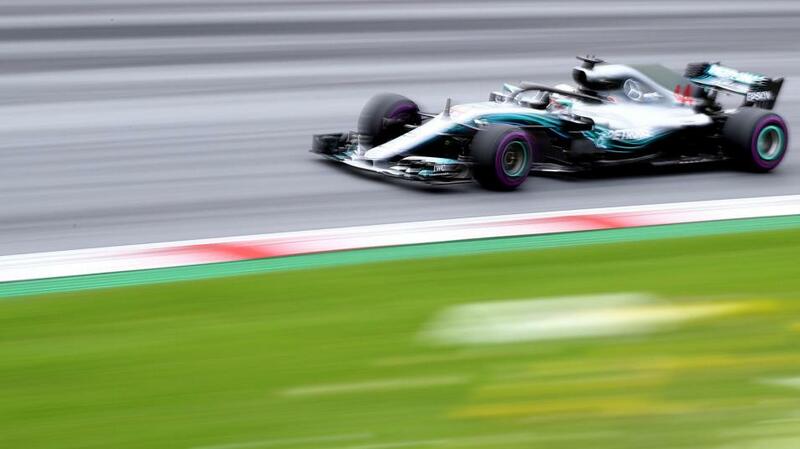 And the word from technical director James Allison is that whatever other problems forced both Hamilton and Bottas to retire from the race in Austria, they weren't connected to the upgraded power unit that was in operation for the first time. So providing Vowles and his team get their strategy calls cleaner, everything points to another Hamilton victory - he even has the bonus that the Silverstone track has been newly resurfaced, just like Barcelona and France that were the scene of his two most comfortable wins this season. With the weather forecast set fair it promises to be a pure race, and it will be interesting to see how Max Verstappen follows up his victory in Austria. I'd flagged up before last week's race that he'd found a new maturity to his driving and tipped him for a podium finish - I was cursing myself for deciding that [19.0] for the actual win wasn't worth wasting money on. But the way he handled the last couple of laps, slowing through the two right hand bends to ease the wear on his tyres and making up the time elsewhere, showed just how much he's starting to think as well as to still rely on his racing instincts. Verstappen has decent form at Silverstone - he was second in 2016 and fourth last year - and looks well worth backing for a podium finish this time. What's more Red Bull's strategy team seem to be consistently making the right calls. They were ahead of the game calling in both cars for new rubber under the Virtual Safety car in Austria and that almost certainly won Max the race. No "thinking loops" involved.